Our Respite Care Program May Be The Perfect Solution For You! Oakwood’s convenient short term respite care option provides seniors with an opportunity to sample daily life in our personal care community on a short-term basis. Your loved one is released from the hospital or rehabilitation and not yet ready to go home . . .
You need to go on a business trip, vacation or are not available to take care of your loved one . . .
More time is needed to evaluate your options before making a permanent commitment . . . These are just a few reasons when a short term respite stay would be beneficial. 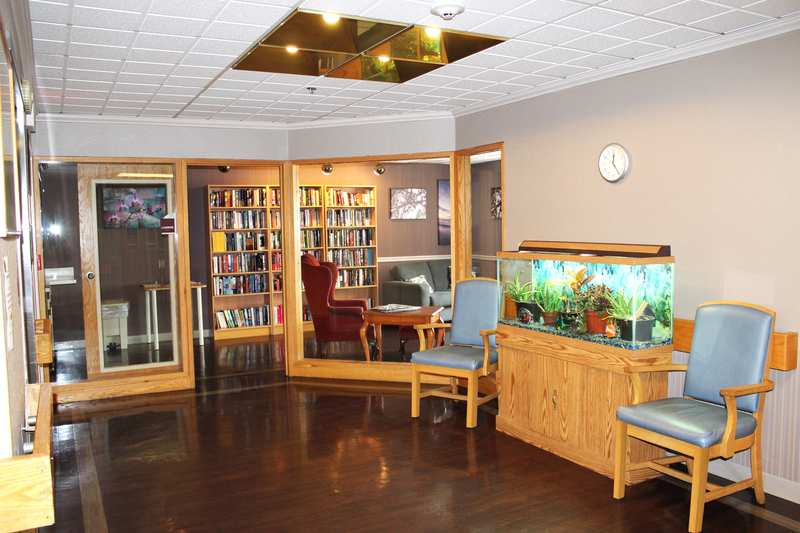 Respite residents enjoy the same attentive care and amenities as our permanent residents do. My father-in-law has expressed on numerous occasions how content he is with his new home. I highly recommend Oakwood Residence.